Created in 2005 to enable online file storing and sharing, MegaUpload was one of the most popular “digital storage lockers” of its time. The site allowed users to upload any content, including videos and music, and then generated links for users to easily view and share their uploaded content. At its peak, MegaUpload was the 13th most visited website on the Internet, with over 50 million page views per day and 180 million registered users (Tamlin). In 2012, though, the US Department of Justice shut down the website, alleging it illegally harbored and promoted the dissemination of copyrighted content. The shut down initiated what would become a controversial debate about online file sharing and offers us an interesting case study to examine how design impacts the perceived primary use and liability of a technology. In the original January 2012 indictment, the DOJ brought several allegations against MegaUpload, including racketeering, conspiracy to commit copyright infringement, conspiracy to commit money laundering, and two counts of criminal copyright infringement. Most relevant to this week’s course readings, the DOJ’s copyright infringement accused MegaUpload of using electronic means to “willfully, and for purposes of private financial gain, infringe copyrights” (Megavideo Indictment). This wording of this allegation indicates that the DOJ was accusing MegaUpload of offenses similar to those in 17 US Code 1201 that disallow the promotion of technologies that circumvent copyright protection services. Furthermore, the inclusion of these two phrases “willfully” and “financial gain” indicate that the charges brought against MegaUpload would be classified as secondary copyright liability infringements as they do not directly violate copyright but knowingly promote it for financial gain. Awareness and motivation were essential considerations for the DOJ to address in order to demonstrate that MegaUpload ought to be regulated because they speak to the founders’ original intention for the site. As this week’s reading have demonstrated, the “primary use” of technology determines its ability to be restricted. Under Sony vs Universal, a technology need only be capable of “substantial noninfringing uses” to avoid regulation. If a technology, however, is “primarily useful” for illicit purposes – as indicated in 18 US Code § 2512 – and lacks these “substantial noninfringing uses” it may be regulated under law. Although the understanding of “primarily useful” may be debatable, the case of US vs The Spy Factory from this week’s readings persuasively supports that the phrase is clear enough to serve as the evaluation standard for MegaUpload and other technologies. The Spy Factory case also clarifies that “in evaluating an object’s ‘primary use,’ the Supreme Court has emphasized the objective determination of a device’s most probable use.” In other words, we ought to define the MegaUpload’s primary use as how most users would use the device rather how one user might use it. Thus, in order to evaluate whether MegaUpload should be held accountable for encouraging copyright infringement, we would need to determine whether the site’s “primary use” was indeed to encourage illegal copyright infringement or whether the “substantial noninfringing uses” of the site outweighed that illegal use. To determine this “primary use,” we turn to MegaUpload’s design. As indicated by this allegation, MegaUpload designed its site to store files temporarily and placed higher importance on files with more downloads. While this architecture design could be seen as inconsequential, it clearly arises from MegaUpload’s desire to monetize its site. Because this financially motivated implementation is in line with storing copyrighted files that command high viewership and that frequently get removed due to takedown notices, it could be argued that storing illegal copyrighted material is one of MegaUpload’s primary intended uses. By promoting or refusing to restrict this illegal use of its site, MegaUpload effectively embraced it and classified itself as a website with the intended use of sharing illegal copyrighted material. Other sites, however, like the large MediaFire site seem undisturbed. As MediaFire CEO Derek Labian explains, he considered MegaUpload an extreme case of a business “built on copyright infringement” (Sean). In other words, the designed purpose of MegaUpload made it in particular appropriately subject to regulation rather than file-sharing companies at large. The future of file-sharing sites is yet to be determined. What is clear though from the MegaUpload case study is that first and foremost, as website engineers and designers, I School students like us must be keenly aware of the design decisions we make. The small choices we make may make us liable for privacy or copyright violations. On a more ethical level, we also must take an active role in determining ethical design standards to hold our professional community ethically accountable, as the “Open Letter” engineers did. Otherwise we will simply allow reactive governmental forces to heavy-handedly regulate our creative expression. Tamlin, Bason. “DOJ Adds Wire Fraud, More Criminal Infringement Counts Against Megaupload.”http://www.bna.com/. Patent, Trademark & Copyright Law Daily, 22 Feb 2012. Web. 18 Mar 2014. <http://www.bna.com/doj-adds-wire-n12884907997/>. Sean, Ludwig. “MediaFire CEO: Unlike Megaupload, our business model isn’t built on piracy.” VentureBeat. VentureBeat, 22 Jan 2012. Web. 18 Mar 2014. <http://venturebeat.com/2012/01/22/mediafire-megaupload-business-model-piracy/>. BitTorrent refers to both a protocol and the company that developed and maintains the protocol. Initially developed in the early 2000s, the BitTorrent protocol is the most popular method for peer-to-peer file sharing. While estimates vary, BitTorrent Inc. claims that “Our protocols move as much as 40% of the world’s Internet traffic on a daily basis”, and it has over 150 million monthly users. The BitTorrent protocol has been widely adopted because of its efficient method for sharing large files. Files are not shared in a one-to-one server-client relationship, but rather split into multiple pieces. Metadata for a file is stored in a separate torrent file, and other users with that torrent descriptor can use their BitTorrent client software to connect to any peers on the network (called a “swarm” in BitTorrent terminology) who share the descriptor and therefore have all or part of the file. As such, each user can both “leech” (download) and “seed” (upload) different pieces of the same file from a distributed set of peers. Security is provided by a cryptographic hash in the descriptor to allow for detection of modification of any individual piece of the original file. BitTorrent Inc. not only maintains the protocol but also provides desktop software that serves as the protocol client, although there are a variety of other open- and closed-source clients available. Additionally, several companies have entered the market to act as indices and search engines for torrent descriptor files; the most popular and famous among these is The Pirate Bay. Thus, a user may search for a copyrighted movie through The Pirate Bay and use the BitTorrent protocol through an open-source client to download hundreds of pieces of a file from hundreds of users around the world. A recent ruling in March 2013 by the Ninth Circuit upheld the liability of a BitTorrent indexing website for violating secondary copyright infringement. The case was bought by Columbia Pictures Studios against Gary Fung, whose company owned several websites (isohunt.com, torrentbox.com, podtropolis.com, and ed2k-it.com) that index and direct users to BitTorrent files that provide access to copyrighted content. The district court held that Fung and his company were secondarily liable for copyright infringement, and that Fung could not seek protection under ‘safe harbors’ of the DMCA due to his intentional infringement of copyrighted material. Furthermore, Fung failed to use available filtering mechanisms to prevent infringement on his website and generated revenues almost exclusively through advertisements and the increased traffic on his website due to the availability of copyrighted content. The court ruled that Fung could not avail himself of the safe harbors for storage or for information location tools because of both his active encouragement of infringement activity on his website and the financial benefit he received from the infringement activity, despite having the ability to implement filters to prevent the infringement. These two reasons disqualified Fung from DMCA protections. The Ninth Circuit held, “if one provides a service that could be used to infringe copyrights, with the manifested intent that the service actually be used in that manner, that person is liable for the infringement that occurs through the use of the service”. As such, the Grokster case remains a viable theory for holding defendants accountable. While some copyright holders have pursued legal action against file-sharing software creators for secondary infringement, the Recording Industry Association of America (RIAA) also sued over 35,000 individuals for primary copyright infringement via file-sharing between 2003 and 2008. This was an expensive endeavor that ultimately did not generate big legal wins for the music industry due to their reliance on a tenuous “making available” theory of infringement, whereby the RIAA claimed individuals violated copyright simply by making copyrighted material available to others using file-sharing software. Several federal courts ultimately rejected this claim, most emphatically in the Arizona case Atlantic v. Howell, where the judge ruled that infringement of copyright-holders’ distribution rights requires actual distribution of copies of the work. In late 2008 the RIAA changed its strategy and essentially stopped prosecuting users of file-sharing networks for primary copyright infringement. Instead, it partnered with Internet service providers (ISPs) to propose a “three strikes” program in which ISPs would warn customers accused of infringement up to three times before ultimately cutting off their Internet service. This system took years to develop and was ultimately implemented in early 2013 as a “six strikes” system enforced by five of the largest ISPs in conjunction with the RIAA, the Motion Picture Association of America (MPAA), and other copyright holders, under a new umbrella organization called the Center for Copyright Information (CCI). Alleged infringers may challenge a CCI Copyright Alert in arbitration by claiming one of a few preselected appeal grounds, including fair use. No court has yet ruled on the legality of this new regime, but it raises some important legal and policy questions in the realm of copyright and beyond. For instance, the “six strikes” system’s presumption of guilt may in some cases contradict the ruling in Online Policy Group v. Diebold that a party may not claim infringement when it “should have known if it acted with reasonable care or diligence” that the claim is false. One of the CCI’s preselected appeal grounds—namely the “pre-1923 defense” that the work in question was published prior to 1923—certainly seems like reasonable information to obtain prior to making an infringement claim. Perhaps more troubling are the privacy implications of ISPs snooping on their customers’ Internet traffic in order to uphold their obligations to the CCI. At the time the new system was implemented, the Electronic Frontier Foundation (EFF) noted significant concerns with the manner in which this monitoring may be carried out. Presumably ISPs have updated their terms of service and other privacy notices, if necessary, to avoid being charged by the Federal Trade Commission (FTC) with using deceptive practices. But the lack of customer input and potential abuse of this packet sniffing may eventually lead to further legal battles, so this will almost certainly not be the last we hear about policies to curb copyright infringement through file-sharing software. What does it mean to be an Online Review Site? Protected from liability in creating technical tools to assist in the restriction of access to content. Without Section 230, online platforms would have to screen and monitor all the posts and comments that were submitted. How does Section 230 apply to Review Platforms? Section 230 was established as part of the CDA in 1996 and it protects internet service providers and various “interactive computer service providers” that publishes 3rd party content. Review sites are included in Section 230 and this is crucial for such platforms because while most reviews are positive, some are negative reviews which might negatively affect businesses. As a result, businesses turn to such platforms with legal action instead of the speaker, which is why Section 230 is important in protecting these platforms. Suppose you are a review platform and you deliberately removed content, do you then become liable for the content? Under Section 230, review platforms are protected to edit and remove content: “No provider or user of an interactive computer service shall be held liable on account of…any action voluntarily taken in good faith to restrict access to or availability of material that the provider or user considers to be obscene, lewd, lascivious, filthy, excessively violent, harassing, or otherwise objectionable, whether or not such material is constitutionally protected.” For that reason, review platforms can remove entire posts, if needed. However, there is still some limitations on to what extent online review sites can edit and change the content of the original message. Internet intermediaries are not to alter the meaning of the content. What are some of the social implications for allowing Section 230 immunity on review sites? Section 230 is widely recognized for allowing the proliferation of internet speech by removing internet provider’s liability for third-party content that they publish. However, there are many social implications and effects for this. Online review platforms have a very large audience reach and therefore, false or defamatory reviews can cause a great deal of damage to businesses. Moreover, the damage can be quickly felt for businesses. Even though the post was falsely made, the time needed to file for take-down may already cause significant damages to individuals or business owners. Before the age of the internet, critiquing was mostly remained as a job for journalists, editors and the like. Back then, individual complaints about businesses was mostly done through word of mouth and therefore, it was unlikely that people’s complaints would reach a massive audience. However, that has changed as everyone is now able to voice their opinion, good or bad, true or false, with the rise of online platforms. Nowadays, it is very easy for customers and users to post a negative review about their experience as a way to express themselves. Section 230 has allowed review sites to flourish, providing consumers the ability to evaluate and research on companies and products. Consumers are now able to quickly search online and gather information about the company or product. Moreover, this has made marketing incredibly difficult as companies try to ‘correct’ their image from what is portrayed on online review sites, forums and more. Trying to find the author of certain content can be difficult, particularly for platforms that support anonymity. In that case, take-down requests can be difficult as it is technically challenging to trace the author of a defamatory or false post on a review site. What if the posted content infringes on copyright laws? However, in regards to content that crosses with copyright laws, this might bring up a tricky situation. In that case, under 17 U.S. Code § 512, or referred as the DMCA, service providers are under some protection, only if they comply with certain criteria: “service provider shall not be liable for monetary relief, or, except as provided in subsection (j), for injunctive or other equitable relief, for infringement of copyright by reason of the provider’s transmitting, routing, or providing connections for, material through a system or network controlled or operated by or for the service provider.” DMCA will require the provider to take down the content immediately after the notice is filed. What are some of the cases that demonstrate Section 230 on Review Sites? We are going to give examples of two cases against Yelp where section 230 protected it against business seeking legal action over the material they posted on their site as well as show ‘discretion’ they have over the information they receive as well as show. Why is this case selected? This case is a good representative of the majority of concerns related to online review platforms. The damage to businesses from receiving negative reviews on such platforms has become so powerful that businesses are prone to raise questions of unfairness, skepticism towards online review sites. How Section 230 Was Applied? In his ruling Judge Chen used section 230 to rule that Yelp can not be held liable for what is posted on their site based on the fact that they were not the ‘internet content provider’. In his opinion he asserted that “§ 230(c)(1) contains no explicit exception for impermissible editorial motive.” And contrasted it with section 230(c)(2)’s which has a “good faith” requirement, saying that the absence of a parallel “good faith” requirement in 230(c)(2) means editorial intent is irrelevant to 230(c)(1). He further went on to assert that “traditional editorial functions often include subjective judgments informed by political and financial considerations….Determining what motives are permissible and what are not could prove problematic.” He concluded that trying to force Yelp! to defend its review policy would ultimately make them defend the reviews they showed on a case by case basis. As such this ruling gave review websites discretionary control over how to handle customer reviews and thus can resist complaints from business seeking to have certain review taken down or request what they should do with reviews. This ruling in contrast with the Fair Housing Council of San Fernando Valley, et al. v. Roommates.com LLC (Majority Opinion Only) where the court ruled the Roommates encouraged/promoted what users posted hence should be liable. The judgement shows that as long as an website is not actively involved in helping structure what users post, it can not be held liable. An aggrieved person/business is thus only supposed to sue against the creator of the post/review. In 2012, Demetriades, an operator of three restaurants in Mammoth Lakes, California, filed a case against the online business review website Yelp citing untrue or misleading advertising and unfair business practices because of ability its system for filtering comments and reviews. The Yelp website is used by many people to review businesses that they would have used and can either give a comment about the business or give a review on a scale of 0 to 5 with 5 being the best rating. Yelp on its part filters the reviews and comments given by users claiming it ‘tries to rank them according to their usefulness. The actual review criteria used for ranking is not publicly disclosed to anyone hence some businesses feel it only shows negative comments. How was Section 230 Applied? The court in its ruling asserted that “statements regarding the filtering of reviews on a social media site such as yelp.com are matters of public interest” and hence was protected by section 230. Essentially the court ruled that a website cannot be held accountable on what it publishes based on information provided by third parties. The following are some final thoughts on our guide for online review sites. What are the social obligation of review sites? Review sites are oftentimes designed in a way that makes it look like a free space for individuals to voice their concerns. Authors become unaware that they are still liable for what they share on the internet. For example, in the Dietz vs Perez case, Perez who is the author of a Yelp review post was charged for monetary fees in damages. Perez said that “when she posted her reviews it never occurred to her that she might end up in court or on the hook for thousands of dollars in legal fees — not to mention the monetary damages.” Review sites should strive to make it obvious for people to know that they even though they are not directly messaging businesses, they are still liable and responsible for what they write. What should review sites strive to show? The judgement in the case of Demetrias vs Yelp in line with the Congressional findings outlined in section 230, that ‘interactive computer services’ provided users with forums for various discourse hence what is showed on review sites is of public concern. Online review sites should thus strive to show material that is pertinent to the audience, so be deemed ‘reliable’ and thus remain useful. Furthermore as data volume and velocity increases the decision allows review systems to deal only with managing the data instead of the worrying too much on the content. With this burden removed sites can focus more on innovation aligned to making the forums better in the users’ view. The U.S. Constitution states that “Congress shall have power…To promote the progress of science and useful arts, by securing for limited times to authors and inventors the exclusive right to their respective writings and discoveries.” This statement is the basis of our patent system. However, in recent years, the patent system of the United States of America has been used by parties colloquially referred to as “patent trolls” to launch hostile litigation against businesses large and small based upon dubious motivations. Many now believe that the patent system has been co-opted by self-interested actors and is no longer serving to promote the progress of science and useful arts, but to launch hostile litigation that only serves to harm other businesses. A system designed to promote progress of science and useful arts is increasingly being used to prevent such progress. In some cases the patent trolls are targeting innocent businesses with limited resources, hoping to intimidate their victims into handing over fees rather than spend precious resources fighting the troll in court. In other cases, sophisticated companies employ highly skilled lawyers and engineers to engage in corporate warfare against their competitors. Two major events in the past few months highlight the issues associated with the patent system and the ongoing push for patent reform: the passing of the Innovation Act in the US House of Representatives, and the massive litigation launched against Google and other Android developers by Rockstar Bidco, a consortium holding the coveted Nortel patents owned by Apple, Microsoft, RIM, Ericsson, and Sony. Dysfunction in the US patent system has gotten so bad that politicians are feeling compelled to act. In December of 2013, the House of Representatives passed the Innovation Act with large majorities of both parties backing it. The Innovation Act, sponsored by Rep. Bob Goodlattee (R-Va.), includes a number of important provisions designed to improve the current system. One of the types of patent trolls are bottom feeder entities that sue hundreds or thousands of small businesses for allegedly infringing on a patent — for example, suing coffee shop owners who offer Wifi to customers. This behavior is hurtful to small business owners and the health of the economy. The Innovation Act will allow technology companies to fight the lawsuit on behalf of the end users of their products, so the patent trolls will have to face much more formidable entities who have the proper resources to defend against the frivolous litigation. One of the most costly elements of the current patent litigation system is the discovery process, which can require defendants to expend exorbitant costs surfacing millions documents in order to build a case. The Innovation Act moves this phase of the litigation process until after the court addresses the legal questions surrounding the patent claim, so that defendants may not have to take on the expense of going through the discovery process to fight off a frivolous lawsuit. The Innovation Act will require plaintiffs that lose their patent litigation to pay the fees of the defendant. Victims of unjust patent litigation will be able to more easily recover from the costs inflicted upon them by patent trolls. Furthermore, as a way of addressing the fact that often patent trolls are acting on behalf of other entities, if the patent troll is unable to pay the fees, a judge may require that other parties with a financial stake in the plaintiff’s lawsuit pay the fee. In some cases, the patent troll that files the patent litigation against others is being controlled by other entities. The Innovation Act will require the patent plaintiff to disclose the names of all other entities with financial interests in the patent that is being litigated. Perhaps patent owners who are using their patents not to build useful products but to attack others may be less inclined to do so if their actions have a greater chance of being linked to them and potentially damaging their reputations. The current system allows patent owners to file litigation against other parties based on vague justifications. The Innovation Act will require plaintiffs to describe in greater detail how their patent was infringed upon. The Innovation Act has been supported by the tech industry, which may be indicative of how the bill is targeted much more powerfully against bottom-feeder patent trolls than sophisticated patent trolls. Opponents of the Innovation Act include the biotechnology and pharmaceutical industries and patent lawyers. The Innovation Act has not yet moved through the Senate, so in the meantime the White House is working to advance patent reform measures on its own. The administration will work with the private sector to provide better technical training to patent examiners and to make available more “prior art.” “Prior art” is a term that describes all publicly available information that is relevant to determining a patent’s originality. This should help the Patent and Trademark Office determine whether or not a patent idea is original, because if a patent idea has been described in prior art the patent no longer has a claim to originality. While the provisions of the Innovation Act, if passed, will help alleviate some of the issues caused by bottom-feeder patent trolls, it does not address all of the dysfunction of the current system. The warping of the patent system from a way to protect the intellectual property of inventors who want to bring a product to market to a battleground of corporate warfare is still a large issue. Patent trolls work to acquire broad patents that arguably should not have been granted in the first place, and use them to launch sophisticated attacks against technology companies. Patent reform advocates believe that the US still needs to find a way to efficiently invalidate low-quality patents. One policy that has been proposed in the Covered Business Method program, which is supported by Google but opposed by Microsoft and IBM. Aspects of this problem are illustrated by the case of Rockstar and Google. On the other end of patent trolling are that larger companies that use patents as ammunition against competitors. This most noticeably happened during the bidding war with Nortel Networks, a Canadian telecommunications company that filed for bankruptcy in 2011. After Nortel went under there was some 6,000 patents up for grabs, which sparked the bidding wars between Google and Rockstar Consortium, which is comprised of Apple, Microsoft, BlackBerry, Ericsson, and Sony. Rockstar outbid Google and bought the patents for $4.5 billion and have used the patents as leverage to extract royalties and file patent disputes with various other companies. Rockstar went on to file lawsuits against Google and other companies, such as HTC, Huawei, and Samsung for infringements in smartphone technology. Most recently Rockstar also set it sights on cable companies that use Cisco products that fall under Rockstar’s patents. Whether Rockstar’s disputes are legitimate or not are not the real issue but the kind of power that it gives them over other companies. The bid for these patents was a bid for power. A power that allows its owners to accuse and dispute any similarities in technologies, and try to extract royalties from companies that use said technologies. A power that allows one company to significantly stifle any new developments in their products and allow an unfair advantage. As Uncle Ben said to Peter Parker (Spiderman), “With great power comes great responsibility.” Rockstar could learn from this because their use of Nortel’s patents and patent law could cause problems for many startups. These startups could easily be hit with a lawsuit for patent infringement from any of the Rockstar companies. A lawsuit that they are most likely doomed to lose against Rockstar’s army of lawyers. This and other patent ownership laws could be stifling to innovation and growth for many budding companies. The Innovation Act is just one small step in eliminating patent trolling but it is far from resolving the larger problems that give the bigger guys more power. Copyright is straightforward when it involves only a single author: anyone who creates any work which is more original than a phone book and fixed in some tangible medium automatically receives copyright ownership (under the Berne Convention Implementation Act) and can exercise any power granted under 17 U.S.C. Section 106. The recent 9th Circuit ruling of Garcia v. Google, however, demonstrates that when multiple, conflicting parties are involved, application of copyright law quickly becomes muddled and ambiguous. Cindy Garcia was paid approximately $500 for three and half days of filming of a minor role in writer and producer, Mark Basseley Youssef’s film Desert Warrior. This footage, however, was not used for the film described to Garcia at the time, which she thought was going to be an adventure themed film. Rather, Youssef used the footage in a scene for an anti-Islamic film, Innocence of Muslims, hosted on Youtube.com. Following an issuance of a fatwa by an Egyptian cleric and numerous credible death threats, Garcia sought a preliminary injunction against Google from hosting the video on the grounds that the video violated her copyright. The 9th Circuit overturned a District Court ruling denying her the injunction, but only after navigating a complicated web of determining who actually owned the copyright, what licenses were granted, and how hosts such as Youtube should react when such unclarity exists in content they are hosting. The Copyright Act of 1976 offers little guidance in determining who owns Copyrights in multi-party productions of works, and this led both the majority and the dissenting opinion of Google v Garcia to scrutinize who actually owned the footage of Garcia. If it were clear that Garcia was Youssef’s employee, or there were an explicit written agreement, Youssef could have claimed that any work done by Garcia constituted work-for-hire and any copyright was his and not Garcia’s. In this case, there was no explicit written document, and the majority and dissent split on whether less than four days of work, and the lack of traditional employment benefits such as health insurance, constituted employment. The dissenting opinion even denied that Garcia had any copyright interest in the film at all, even though Section 102(a) specifically lists dramatic, motion picture and other audiovisual works as protectable, and the majority asserted that an acting performance, “no matter how crude, humble or obvious,” passes the threshold of original according to Feist v. Rural. The dissent argued that this is a necessary but insufficient grounds to establish copyright interest, because Garcia did not fix her work in a medium and she did not qualify as an author due to her role as an actress and not a producer. If this sort of argument prevails in future rulings, it could place in jeopardy the control artists have over their performances and recordings created from it. Even if Garcia unambiguously owned the rights to her work, and there was no explicit license granting Youssef to produce derivative works, there is still a question of what rights may be implied by such a transaction. In the film industry, there is precedence that paying an actor to perform creates an implicit license, since otherwise the footage would unusable by the producer. However, the fact that Youssef misled Garcia about the nature of the film’s production led the court to conclude that the any implied license was violated and did not apply. The situation was further complicated into “an impenetrable thicket of copyright” because if Youssef did not have an implied license to Garcia’s performance and footage, then Youssef could argue that Garcia herself may have committed copyright infringement by performing the script owned by Garcia, and therefore has no copyright interest in the derivative work. In fact, as the court asserts, the screenplays are copyrightable and clearly owned by Youssef in this case, and film footage based off of such copyrighted screenplays are derivative works. Then again, being paid to perform a script may imply a license in the opposite direction from Youssef to Garcia. The court does not settle the matter, since all that is necessary to obtain a preliminary injunction is for the plaintiff to prove their likelihood of success. This case provides insight on how copyright laws are treated in today’s collaborative economy and how technology companies are addressing copyright laws from their perspective. In particular, because multiple parties in the production of a work were involved and there was a lack formal legal agreements, Garcia v. Google highlighted the difficulty of determining who owns copyright interest in various parts of the work, and what rights were granted in licenses both explicitly and implicitly, before the court can apply Sections 102, 103 and 106. Furthermore, the case raised questions as to how a content host such as Google should treat these sorts of conflicts. Section 102 is directly applied to this case because it requires identification and determination of the author of the footage. Section 103 is concerned with the derivative works of the footage in which Youssef created a derivative work based on Garcia’s performance for his own purposes of creating the film, Innocence of Muslims. Section 106 ties into this case in terms of dealing with the exclusive rights of Garcia’s claimed copyrighted material, which includes the issue at hand of its distribution to Youtube’s hosting services. Furthermore, we learn how mediums that host copyrighted material deal with the issue of copyright matters. Rather than file suit against with Youssef, Garcia filed against Google for hosting the content on behalf of Youssef. Even with their policies and systems of determining copyright infringement, Google has not been able to develop a robust model such that it takes into consideration joint works that become one form of content and seek permissions of all players involved with the content that is to be hosted on their Youtube platform. Because Garcia and Youssef did not have a concrete agreement, everything was carried out based on implications and assumptions. Just as Garcia was led to believe this was going to be for the purpose of an adventure film, there was no clear understanding of where the material was going to be distributed. Based on the preliminary injunction, Garcia has demonstrated the high likelihood that the footage used in the film was her copyrighted material. If anything, though, this case is a warning to all actors and performers that they need to make the terms of their work explicit in writing and not rely on the customs and norms of an industry for protection of their interests. What problems arise from this law’s interaction with technology and society? Since there wasn’t an explicit agreement between Youssef and Garcia, applications of Sections 102, 103, and 106 must be closely examined based on their implied agreements and how and where the content was used in separate instances. Using the definitions in these sections, it is necessary to see if the content at question meets the definitions and requirements. If there was an explicit agreement, the terms and conditions would have provided confirmed detail of whether or not copyright laws should be applied or not. The problem that arises with application of copyright laws in the domain of technology is how to protect copyrighted material in an effective and efficient manner. For example, Google has catered to the the DMCA and developed a system, Content ID, for its Youtube hosting service to identify what content is copyrighted and what is infringed upon. Nevertheless, the system is passive in that it scans the music and video content to see if it has been copyrighted elsewhere. Although Google has taken the initiative to go above and beyond what the DMCA requires, the scan is not thorough in that it does not take into consideration the actors involved and check for authenticity of the authors. The only authentication of authorship Youtube considers is the user who uploads the content to see if its their original work. In an earlier case study of Google’s approach to dealing with the DMCA and copyright infringement of content in its search query results, Google demonstrated that it considers content to be copyrighted when users file a notice of copyright infringement. In other words, Google deals with copyright infringement by passively reacting to a claim at face-value, rather than actively investigate that each piece of content being hosted on its services goes through a verification system to prove originality and authenticity of copyrighted material. Google’s passive approach also depends on users and society to participate in deciding what is copyrighted material and what is infringed upon by having users file complaints or requests for take-downs of content that is considered to be copyrighted and not belonging to the individuals who have uploaded the material. Furthermore, society has a say in what is and what isn’t copyrighted material through this request system. Using the quick scan of Content ID and user feedback, Google has shown that it has taken some prerogative to dealing with copyright issues yet the system is “broken” in that its trusts the requests at face-value rather than undergo further investigation itself. Google trusts and assumes participants have a clear understanding of who owns the copyright to a given video and expertise of the standards and criteria for what is copyrightable, and does not verify validity, or investigate if the claimants have ulterior motives for filing requests. Thus, the application of copyright law has become a collaborative effort between users and distribution channels. 1) The surviving Beastie Boys members threatened to sue GoldieBlox for copyright infringement. 2) GoldieBlox then filed a pre-emptive claim in California court, asking to have their “Girls” video declared legitimate “fair use” and thus not copyright violation. On December 10, 2013, the Beastie Boys filed a legal complaint of copyright and trademark violation by GoldieBlox. (In November the video had gone viral, receiving over 9 millions views, in part because of the legal and gender controversies). We will discuss only the copyright issues for our blog entry. Although the GoldieBlox video ad is clearly for commercial purpose (for their company, if not a specific toy), there are strong precedents for uses that are “transformative” as per both Perfect 10, Inc. v. Amazon.com, Inc. and Campbell v. Acuff-Rose Music. The more strongly transformative a work, the more that factor would outweigh the commercial goals. Both Perfect 10, Inc. v. Amazon.com, Inc. and Campbell v. Acuff-Rose Music cite the legitimacy of strongly transformative use. 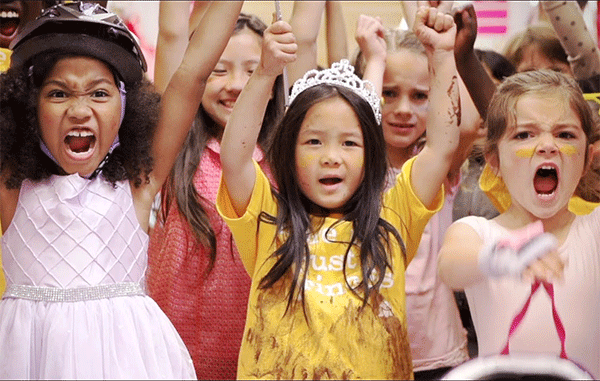 GoldieBlox has a strong case for parody because while the Beastie Boys song described sexist gender roles to a point of absurd exaggeration, the GoldieBlox version used the same tune to show girls rejecting traditionally stereotyped passive, domestic, or beauty-oriented roles in favor of engineering and technical creativity. Their progressive message serves purposes that can be also be seen as educational, given our society’s deep-rooted problems in gender equity (in STEM work specifically but also across the entirety of society). The transformative character of the parody is almost too obvious to belabor here, but here are quotations from the two different versions, and links to the two different lyrics. Beastie Boys,”Girls – to do the dishes…Girls – to clean up my room,” vs. GoldieBlox, “we are all more than princess maids…Girls, to build a spaceship…Girls, to code a new app.” (http://www.metrolyrics.com/girls-lyrics-beastie-boys.html , http://rapgenius.com/Goldieblox-girls-lyrics ) It is hard to imagine a more explicit transformation of a song’s meaning into its opposite in order to convey a criticism and commentary. The Beastie Boys original song is a creative expression and a work of music, and so clearly deserves full copyright protection as a typical example of what copyright law is designed to protect and encourage. Ironically, the Beastie Boy’s copyrighted song may actually go up in popularity and value, thanks to the media frenzy around this controversy (as well as the quality and creativity of the ad). In addition, the Beastie Boys are not claiming financial injury of any kind. So it seems unlikely that the ad will be penalized for copyright violation on the basis of this factor. The case will likely be determined by the first of the four fair use factors. We have argued that the precedents and specific case for parody is quite strong for this example, given the past importance placed on the freedom to create highly transformative works. We might even ask whether any amount of commercialism would be large enough to outweigh a strong parody. One of our writers, Kiki, published the toy commercial only to her friends on Facebook late last year. Apparently she shared the video without the awareness that this video could be at risk of breaching the law. To some extent, people like Kiki helped the spread of the video and thus it became viral. Suppose that GoldieBlox failed in this case, should the personal use of infringed copyrighted work be enjoined? Social media communications have virtualized traditionally private spaces, and technology beyond iFrames have allowed stronger embedding and linking within our content sharing. Pertaining to another part of our reading, we recommend improvements to Section 117. During our exploration for blog topic, we find that all sections in copyright clearly defined its subject matter as content: literary works, musical works etc. Section 117 to some extent defined the copyright of software (and implicitly, games) but addressed the work with respect to physical copies. Nowadays, especially with the development of cloud services, back-ups in remote servers (possibly distributed) replace the duplication or adaptation in case of maintenance or repair. As software goes online, the copyright clause is in need of improvement accordingly. The “machine” referred to in the clause does not have simple boundaries anymore in our current era of distributed computing (distributed hardware, functionalities, infrastructure, platforms, applications, and software). In Mulligan, Han, Burstein, “How DRM Content Systems Disrupt Expectations of Personal Use, ” the scope was explicitly aimed at our traditional expectations of music and film media consumption, but we are rapidly developing new expectations and norms around both newer media such as games and software(interactive media apps), and newer sharing or experience mechanisms.